Truly not that interesting but great when the fences are built correctly and aesthetically for safety and beauty and we have stump free parkways. From the Mayor’s Office – Funding for tree stump removal – send in the info! This includes a fund to eliminate the backlog of tree stumps across the city. These stumps are in the public right of way and in neighborhoods and parks. For years the city has cut down dead trees or those damaging roads, sidewalks, and homes and often the stumps were left behind. This budget addresses this backlog and funds the removal of these stumps. 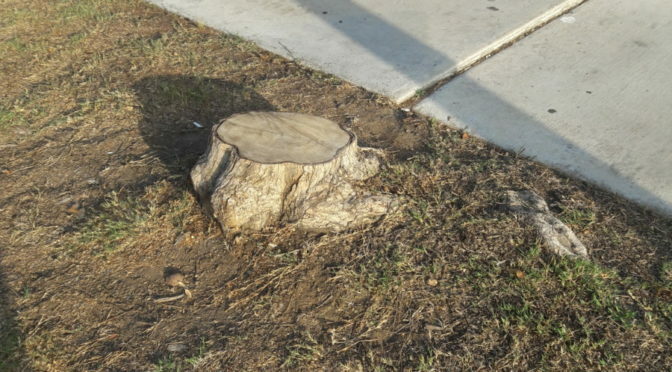 If you have a tree stump in your neighborhood that needs removal, please email us at ContactLBPW@longbeach.gov and include “Tree Stump” in your subject line. Be sure to include the address of where the stump is located in the body of your email. We plan to remove all reported stumps over the course of the next year. Here is a message on building fences!